Egyptian actress Faten Hamama died on Saturday at the age of 84. She was one of Egypt’s most prominent actresses in the 1950s, 1960s and early 1970s. Hamama was born in the Delta city of Mansoura. She made her film debut when she was seven years old, featuring in Youm Saeed (Happy Day) alongside late legendary singer and composer Mohamed Abdel Wehab, and went on to star in over two dozen films. In 1963 during her heyday, she starred in an American film called Cairo. Hamama also acted in several TV shows, including Dameer Abla Hekmat (The Conscience of Mrs. Hekmat) in 1992 and Wagh Al-Qamar (Face of the Moon) which premiered in 2000. The "Lady of the Screen," as she was dubbed, won a number of awards and honours throughout her career. She was chosen the “Star of the Century” at the 2001 Alexandria International Festival, honouring her lifetime of achievement in Egyptian cinema. Hamama married Egyptian film star Omar Sharif in 1955. They co-starred in several movies together and became one of Egypt's most famous celebrity couples, before divorcing in the mid-1970s. HAVE A NICE TRIP !!.. 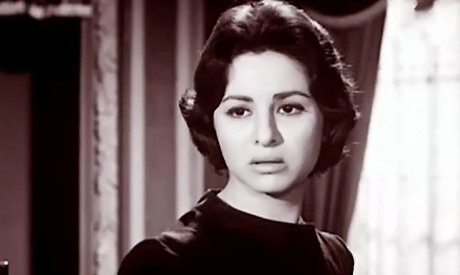 Faten Hamama starred in over 100 movies, not "two dozen" as this article claims. One would think that Al Ahram would at least get the facts right when it comes to such an Egyptian icon.